This chapter aims to evaluate what could be some possible barriers for a sustainable e-participation process in a developing country case. Sustainability refers to the provision of uninterrupted and successfully implemented programs in related to e-participation in terms of expectations and gained results. For such purpose(s), it is of utmost importance that regarding infrastructures are provided, and related precautions are ensured before enrolling in. It is argued that sustainable e-participation is kept consistent if possible barriers are successfully considered. In this context, possible and potential barriers for sustainable e-participation process are derived from the literature, but confined to five types in drawing the framework. As a country case, Turkey is evaluated in terms of some current indicators presenting an overview of information and communication technologies’ (ICTs) infrastructure and its use before discussing about barriers. Administrative, legal, institutional, and cultural dimensions that produce and feed the barriers are described next. After addressing these dimensions, it is concluded that there are some potential barriers before e-participation process. Resistance from bureaucracy for sharing their monopoly over policy making, the lack of expertise in designing methods for e-participation, privacy concerns in data sharing, a big accumulation of legal and administrative arrangement burden, and potential inertia at citizens’ side toward policy-making issues are among threat-posing features for a sustainable e-participation process in Turkey. Retrieved February 15, 2013 from https://www.nic.tr. ICTA. (2012). Annual Report 2011, Information and Communication Technologies Authority. Retrieved February, 15, 2013 from http://www.tk.gov.tr/kutuphane_ve_veribankasi/raporlar/faaliyet_raporlari/ar2011.pdf. ITU. (2012). Measuring the Information Society 2012, International Communication Union, Geneva. Retrieved February 15, 2013 from http://www.itu.int/ITU-D/ict/publications/idi/material/2012/MIS2012_without_Annex_4.pdf. Kassen, M. (2013). 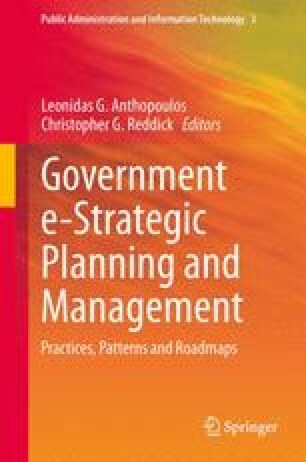 Globalization of e-government: open government as a global agenda; benefits, limitations and ways forward. Information Development 30 Jan 2013. doi: 10.1177/0266666912473620. OECD. (2012). OECD Economic Surveys: Turkey 2012, OECD Publishing. Retrieved February, 15 2013 from doi: 10.1787/eco_surveys-tur-2012-en. SPO. (2011), Information Society Statistics of Turkey 2011, retrieved from http://www.bilgitoplumu.gov.tr/Documents/1/Yayinlar/Turkish_Information_Society_ Statistics_2011.pdf [access date: February 10, 2013]. UN. (2012). United Nations e-Government Survey 2012: e-Government for the People, New York, Retrieved February 15, 2013 from http://unpan1.un.org/intradoc/groups/public/documents/un/unpan048065.pdf.